“We’ve never done it that way” is one of the most frustrating things to hear when you’re trying to start something new. In today’s episode, we interview Michael Lukaszewski from Church Fuel to find out how to move forward when your church is stuck in the past. 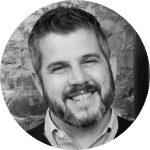 Michael is the founder of Church Fuel, an organization committed to providing insanely practical resources to help move the church forward. He is a husband, pastor at heart, and lives with his wife and kids in Atlanta, GA.
Connect with Michael at Church Fuel and learn how to grow your church in a healthy way. There is a common theme when we ask questions from our audience. So we decided to get some folks who have successfully brought churches into the 21st century. When someone doesn’t want to change, remember that everyone has preferences. They have their own preferences just as you have your own preferences. People struggling to adapt to a changing culture don’t need someone to lecture and beat them over the head. They need someone to shepherd them through this transition. The people didn’t see Joshua as a replacement for Moses…but rather they saw Joshua continuing what Moses started. And so they trusted Joshua as they trusted Moses. As a leader, you need to build on the past, not throw it out. Great leaders acknowledge the past, not ignore it. When you are moving in a new vision, there should be some overlap with the old way of doing things. Instead of battling out the differences, find the similarities between the old and the new. Acknowledge that you’re fighting the same battle. A new building has the same purpose as the old. 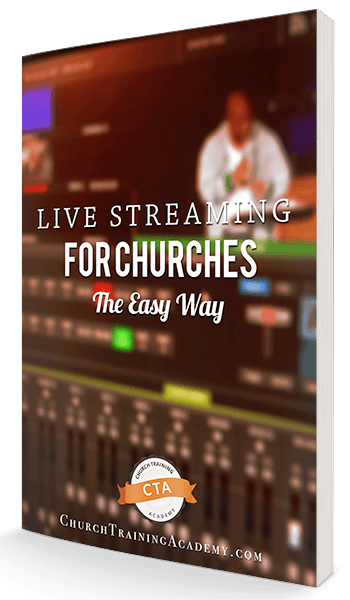 The new live streaming ministry works along the same church mission and vision. Find the similarities first and show that we’re working together for the same win, and let that springboard you into where you need to go. One of the frustrating experiences when trying to move forward is when the “stumps in the ground” don’t see the logic in changing. But here’s the deal: Facts will inform, but stories will inspire. When you share the “why” behind the change, you’ll notice that people are more likely to see the vision of change. One example Mike shares is when you remove older songs from the worship library. A member might say she likes the older songs, but in conversation, you can share with her that the new songs are for her grandkids to worship with. Instead of researching facts and data, research stories of change and inspiration from other churches who have been through the change and are thriving because of it. The church has been around for thousands of years. And through a millennium of change, the great commision and discipleship have been eternal. So as we’re leading our church through a big change like moving or streaming, remind your folk that the Gospel is staying the same. For most leaders, your timeline to launch will be uncomfortably long. Think about it as an airplane’s runway. If you’re landing a small airplane, you just need a small runway. But if you’re landing a giant 747 plane, you need a long runway. The smaller projects and changes you can probably do in a few weeks. But if you have a huge culture-shifting change, you’ll need months or years to implement the change. Your timeline should be a multifaceted approach. The change needs to be robustly communicated from multiple people across multiple channels. It’ll also help when the change is communicated from more than one person because it shows unity. Plus, one person may communicate better with a group of people because of their rapport. Pushback comes with any plan to change. And it’s worse is when leadership starts to back-peddle. So plan for pushback. Know what the concerns and objections will be ahead of time and have a plan on how to address it. This is where the length of the runway comes into play. Take time to clarify the strategy and direction. There will always be people who don’t like the change. Be patient with people and the plan. It’s not manipulative to plan answers to questions and rebuttals ahead of time. Planning ahead and getting everyone on the same page is just great leadership. When you feel like your church is stuck in the past, remember to practice empathy and look at the opposition from all sides. Half the battle is recognizing where the concerns will come from. Give your opposition the benefit of the doubt. Recognize where you’ve come from and find common ground between the past and the future. Once you do that you can communicate how the change is not affecting the Gospel or discipleship in the church, but rather how we carry it out. Then you can form a timeline to undergo the process of change. The bigger the change, the longer your timeline should be. Read the full article on Church Fuel: What To Do When Your Church Is Stuck In The Past. Are you currently navigating a change in your church? Let us know in the comments below!